​Manchester City striker Sergio Aguero has scored the fastest Premier League goal of the season so far after taking just 24 seconds to notch past Newcastle at St James' Park. The 30-year-old striker, who is now up to 17 goals in all competitions this season, had teammates Raheem Sterling and David Silva to thank for the opportunity - though he took the opportunity with usual aplomb to help City race out of the blocks against Rafa Benitez's relegation threatened side. Cutting in from the right-hand side, Sterling fizzed curled a delightful cross to the back post where Silva, who is not renowned for his heading ability, stooped to head back across the face of Newcastle's goal. As ever, ​Aguero was in the right place at the right time, rifling home his effort with Magpies goalkeeper Martin Dubravka stranded. 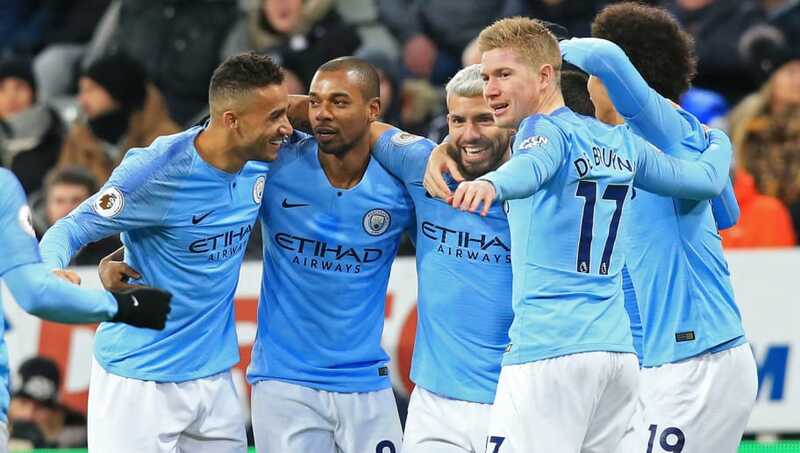 Aguero's goal, which is the fastest goal that ​Manchester City have scored in the Premier League since Jesus Navas' strike after 13 second against Tottenham six years ago, becomes this season's fastest - eclipsing the 54 seconds that it took Huddersfield's Mathias Jorgensen to score against Brighton at the start of December. His Manchester City teammate Leroy Sane sits fourth on the list - with the German winger taking just 90 seconds to open the scoring against Fulham at the Etihad in September. It's Aguero though who now holds the record for the 2018/19 season, with the Argentine now up to 11 Premier League goals for the current campaign. He has 154 ​Premier League goals to his name and sits eighth on the all-time list - though he is the only active player sitting in the top ten.